President Maithripala Sirisena is reported to be seeking to build relations with the Tamil Diaspora while in London to participate in the Commonwealth Day celebrations as chair of the Commonwealth. Along with Foreign MinisterMangala Samaraweera, the president is expected to meet with British Prime Minister David Cameron to explore ways and means of securing the support of the Diaspora groups. This signals a paradigm shift in the approach of the government towards a group that is important to Sri Lanka’s future wellbeing. The Tamil Diaspora is generally portrayed in Sri Lanka as being hostile to the country and seeking its division. During the war funding and weaponry came to the LTTE from abroad which contributed to their becoming a formidable military force and a threat to the unity of the country and to the lives of its citizens. When the LTTE’s defeat became imminent the Tamil Diaspora actions in mobilizing in huge protests in the Western countries against the Sri Lankan government in the final stage of the war showed that they could take on the LTTE’s cause to themselves. However, after the presidential election that saw the unseating of President Mahinda Rajapaksa there are increasingly close ties between the new government and the TNA, which represents the mainstream Tamil polity within the country. This is causing a change in the Tamil Diaspora in a manner that bodes well for national reconciliation. It is better to have the friendship of the Tamil Diaspora than its enmity. President Sirisena showed his gratitude in visiting Jaffna despite negative signals that came from the Northern Province after the presidential elections. The resolution accusing successive Sri Lankan governments of practicing genocide against the Tamils that was passed by the Northern Provincial Council a mere three weeks before the President’s visit to Jaffna was not in keeping with the improvement in relations between the TNA and the government. Nor did it correspond with the positive changes that have been taking place on the ground in the north and east. The most important of these is the lifting of the fear of arbitrary arrest and disappearance by government forces. The mismatch between the improvement in ground realities and the resolution on genocide by the Northern Provincial Council indicated a Tamil Diaspora hand. 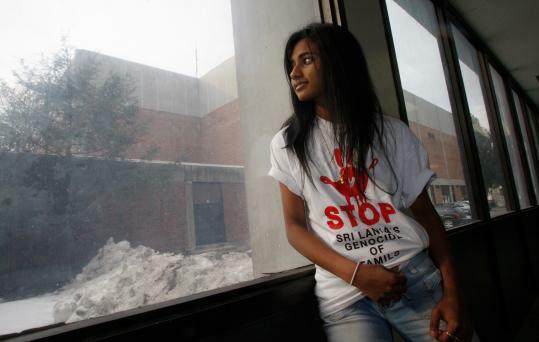 The Tamil Diaspora is a factor in Sri Lanka’s life that cannot be ignored or marginalized. There are about a million Tamils who live outside Sri Lanka which is about a third of the entire Tamil population living within Sri Lanka. They are bound to Sri Lanka as their relatives continue to live in it and they are also bound to their memories of injustices that drove them out. Many have overcome their initial adversity and prospered in the merit-based systems of Western countries. Some amongst the Tamil Diaspora have become political leaders in the countries to which they emigrated. They have gained a place for themselves in politics by championing the cause of the Tamils in Sri Lanka. With their money, influence and education, they have been able to bend some of the Tamil politicians in Sri Lanka to their will. During the period of the war and in the post-war period of the Rajapaksa presidency, the Tamil Diaspora was unified in opposing the Sri Lankan state and its agents. In the post-war period they joined hands with international human rights groups to lobby for an international probe into war crimes committed in the last phase of the war that saw the defeat of the LTTE. In retaliation, the former government of President Rajapaksa banned most of theTamil Diaspora organizations as being terrorist. However, the election of President Sirisena and his appointment of a new government headed by Prime Minister Ranil Wickremesinghe has seen a significant shift taking place within the Tamil Diaspora. Some of its leading members, such as Fr S J Emmanuel and Suren Surenthiran of the Global Tamil Forum have come out in support of the policy of constructive engagement with the government being followed by the present TNA leadership. The TNA leadership has taken unusually accommodative positions that have shown their goodwill towards the new government, such as attending the Independence Day celebrations for the first time in four decades. The election of the new President with the support of Tamil votes and the good relationship between the TNA and government offers an opportunity for a healing of relations between the Tamil Diaspora and Sri Lanka. The Tamil Diaspora has talent, wealth and international connections that can make a great contribution to Sri Lanka’s development if they are utilized for constructive purposes. The Tamil Diaspora is too large, too influential internationally and has too many links with the Tamils living in Sri Lanka for it to be kept out of Sri Lanka. It is much better to have them as an ally, and as part of the larger Sri Lankan community, than to try to exclude them as a hostile or enemy force. There are already efforts by members of the Tamil Diaspora to assist in the process of reconciliation that includes the people living within the country as well as those living outside. One such initiative titled “Write to Reconcile” is by the internationally acclaimed novelist Shyam Selvadurai. Although based in Canada since 1984, he has kept his links with Sri Lanka alive and for the past three years has been working with prospective young novelists in Sri Lanka. They come from all three communities, and also from the Diaspora. They work under Shyam’s tutelage to learn the basics of writing a prize winning story and also gain exposure to the different perspectives of Sinhalese, Tamils and Muslims and to visit each other’s areas and become friends and colleagues. His work brings together young people from the different ethnic communities to exchange ideas and learn from one another in a structured environment. What is especially noteworthy about Shyam’s work is that it is the Tamil Diaspora that is reaching out to promote reconciliation within Sri Lanka. 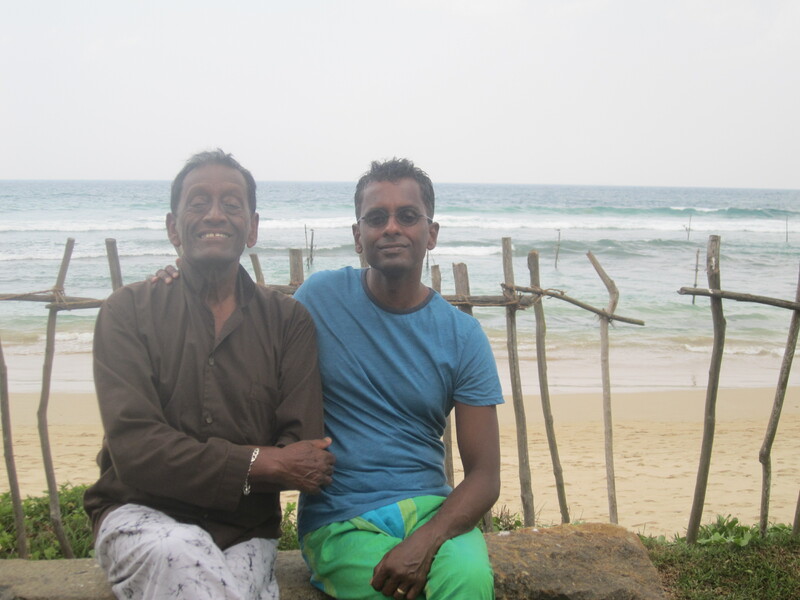 This positive linkage between the Tamil Diaspora and Sri Lanka spans the generations. Shyam Selvadurai’s constructive work for Sri Lanka pre-existed him in his father, DDN, the great Sri Lankan tennis coach who also played for Sri Lanka’s national team. Although the family emigrated to Canada after the July 1983 anti-Tamil riots destroyed their home and nearly took their lives, he has been returning to Sri Lanka to coach local talent and is now facilitating the building of tennis courts in the schools of Jaffna. The contribution of the Selvadurai family can become one of hundreds or thousands of similar initiatives that build capacity and reintegrate Sri Lankans living within the country and abroad. There is a Tamil Diaspora that suffered and left the country, but continues to love it and wants to return to improve life in the country of their birth and kin.